My neighbor Tamara is a great pie-maker and her influence has rubbed off onto me over the years. I never understood the hullabaloo behind homemade pies until I tried making a pie from scratch myself...even the pie crust. Now I totally get it! I'm sharing my recipe for a Triple Berry Pie over at Zupas today. It's a delicious way to use up all those inexpensive berries so readily available in late Summer. that looks so yummy! i'm going to have to try it. 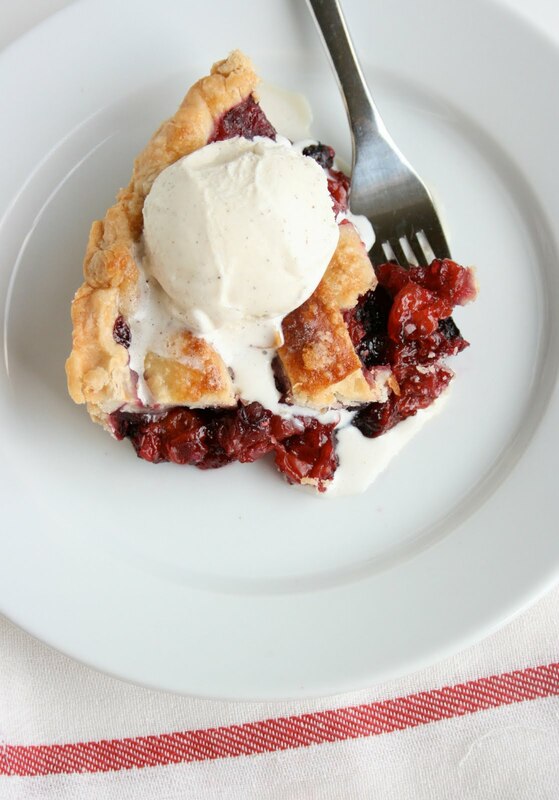 I love making pies and love berries! That looks amazing! Thanks for sharing, I can't wait to make it later today! Oh dear, this look ssooo good, wow. Can't wait to try it. i just had a strawberry rhubarb crisp that i loved! your post reminded me of it. you kill me. this looks incredible.